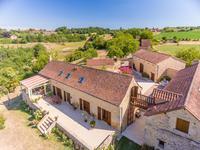 A charming farmhouse, typical of the Perigord Noir, in a quiet hamlet setting with wonderful views over the country side of the Vézère valley. Wonderful character stone property comprising a 4 bedroom main house, a 2 bedroom guest house . . .
PERIGORD NOIR - Charming stone property in a peaceful, quiet, rural setting only 5 km from the animated market town Le Bugue. Lovely property comprising a 4 bedroom main house, a further bedroom in a converted barn, . 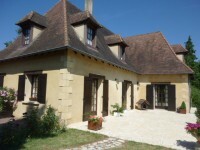 . .
Riverside house with gite and swimming pool. Near Le Bugue, Vézère valley. 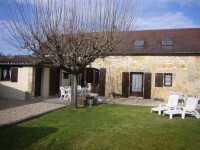 Riverside 3 bedroom stone house, restored in 2003, with 3 bedroom gite. Extension of 2 rooms . . .
A splendid Chateau with many of its original architectural features like embellished . . .
A beautiful house with stunning views of the surrounding countryside, comprising a total area . . .
House with 4/5 bedrooms, living room, library, dining room and large kitchen breakfast room. . . .
Terraced town house with 2 garages and a two-bedroomed apartment. Easy walking distance from the town centre. This terraced town house has 2 garages on the lower level and a two bedroomed apartment plus . . . 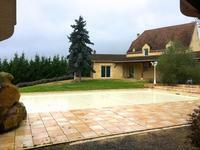 Spacious house from 1986 with 4 bedrooms and 2500m² garden in a residential area close to Le Bugue. This Perigordian style modern house offers living space on two floors plus a complete . . . Stunning Perigordine country property with lake, positioned in the centre of 60 acres of peaceful meadows and woodland in the Perigord Noir. 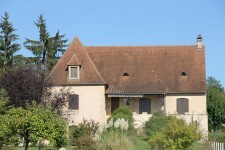 Large farmhouse dating in parts back to the 18th century, 3 gîtes and pigeonnier around a . . .
Charming small old farm property with walled courtyard and garden close to Le Bugue in the Perigord Noir. Roadside position but with total privacy. The old barn has been converted to a two bedroomed . . .
Lovely stone built village house with garden in a quiet residential part of a lively market town on the river Vezere. 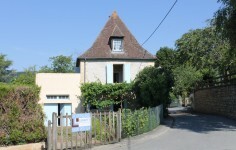 This conveniently located house - a 5 minute walk from the centre of Le Bugue - with garage . . .
Fabulous position and private setting for this house built in 1980 in the Perigourdine style. The house in perfect condition with 4 bedrooms is settled in almost half an acre of well . . . Magnificent perigordine style property with pool and wonderful views in a small hamlet between Sarlat and Bergerac in the Perigord Noir. 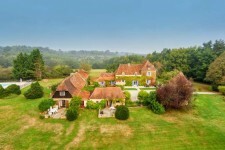 Wonderful house built in 2003 in the traditional style of the Perigord Noir, with a . . .
A manor house dating from the 18th century, a former mill and forge converted into . 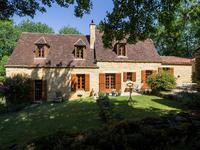 . .
Beautiful Perigourdine complex : main house, gîte, pool, pretty garden. 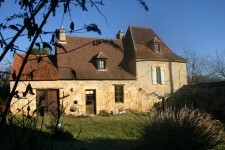 This old farm has been converted to offer about 270m² of living accommodation with a total of . . . Recently finished beautiful 4 bedroom house with all the comfort you can hope for. It has . 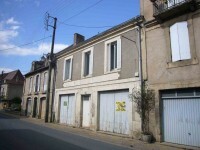 . .
Building plot of 2858m² with outline permission on the edge of the small market town Le Bugue. Full planning permission will need to be sought for the size and style of house desired by a . . .
Main house divided into two independent units of accommodation that can easily be linked . . .